You are getting a set of graphic designer resume, portfolio & cover letter templates. 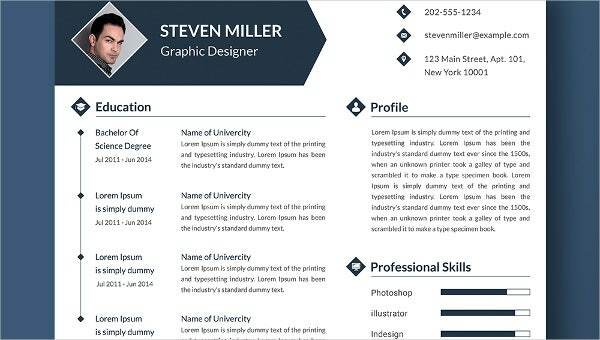 The Resume Template begins with your picture on the top with the contact details next to it. Then, it goes down discussing your educational qualification, previous work experience, your profile and you also have scales to gauge your professional & personal skills. The resume template concludes with a section on the languages known. The cover letter template will enable you to present an elaborate description about your goals, career objectives, skills and qualifications. Finally, you have a smart portfolio template where you can upload details about your 4 most important projects with pictures.